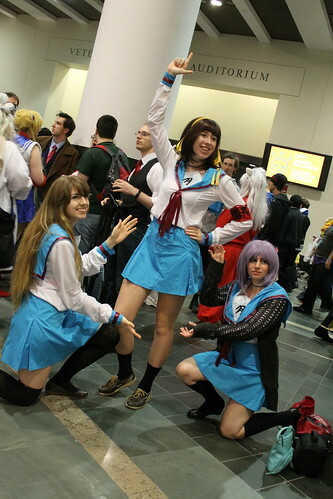 ← Away for Anime Boston! 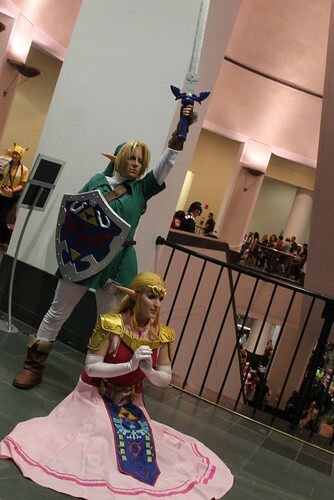 I attended Anime Boston on Friday and Saturday this past weekend, I’m going to do two posts here about it one focusing on cosplayers and one on the con in general. I got quite a few cosplay pictures on Friday, not so many on Saturday because we attended quite a few panels that day ^^; . 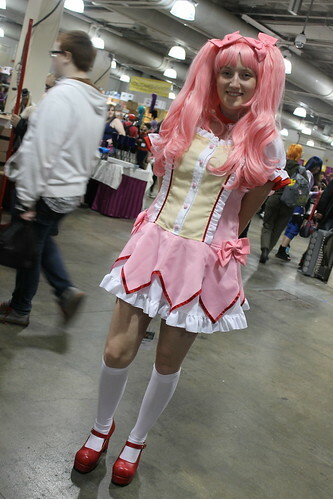 I should probably admit I have a tendency to play favorites with certain favorite series like Madoka, I think I managed to track down just about every Madoka cosplayer on Friday/Saturday. 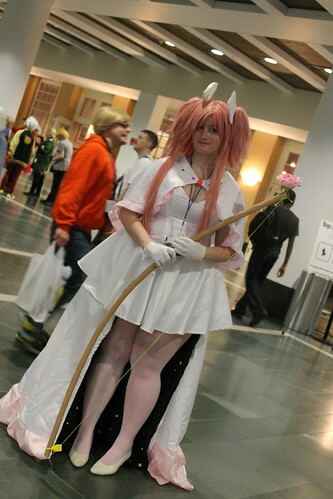 I figured out something that should have been kind of obvious on Friday, if you go to a panel about a particular show it attracts a good number of the cosplayers from that show. 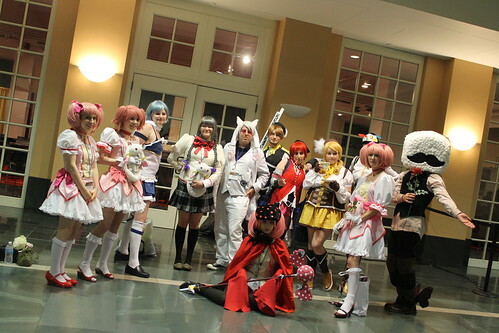 After attending the witch-centric Madoka panel on Friday, I was able to get quite a few of the Madoka cosplayers together all at once mwahaha! 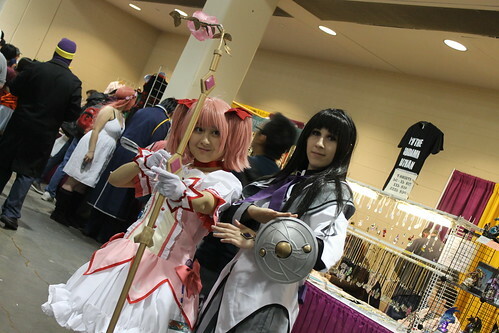 Madoka & Homura with their respective weapons. 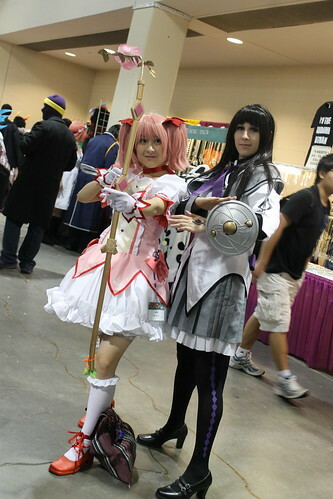 Another shot of Madoka & Homura because they were really cute and I really loved their cosplay. 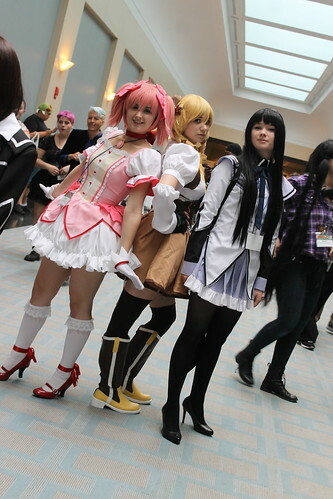 Madoka trio: Madoka, Mami & Homura. 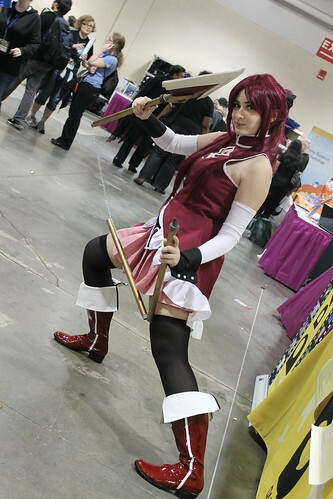 Kyoko Sakura, I was particularly impressed with her weapon. 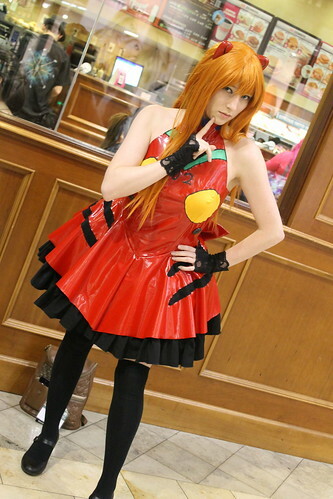 Asuka from Evangelion in a modified plugsuit. 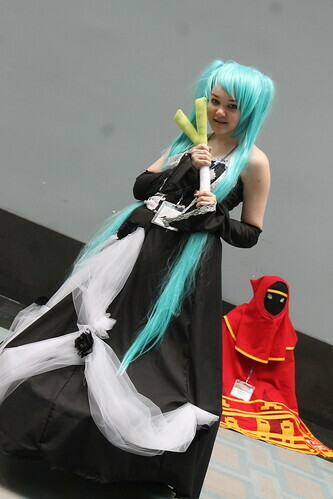 A formal Miku cosplayer of Vocaloid. 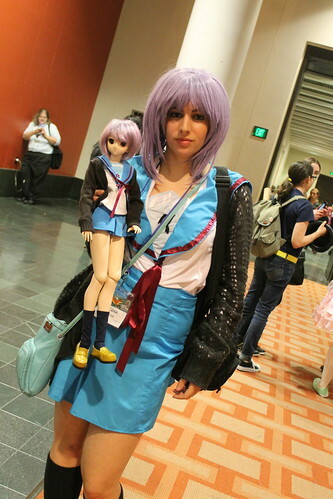 I tracked down the Yuki later so I could get a picture of her with my Yuki DD. 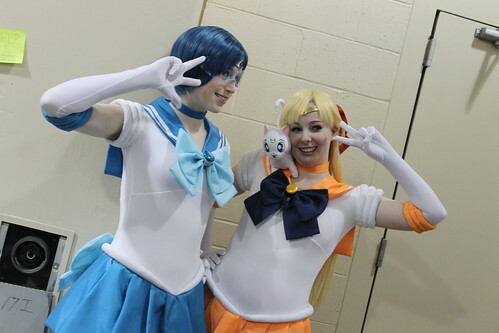 Sailor Mercury and Sailor Venus of Sailor Moon. 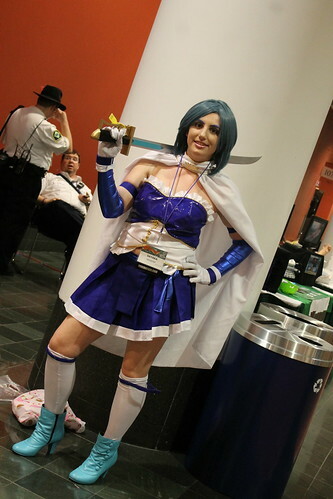 Sailor Aluminum Seiren- she is one of the bad guys from the Sailor Moon Sailor Stars series, I don’t think I have ever seen another cosplayer of her in person. Juliet Starling from Lollipop Chainsaw, when I was home sick for the past couple of weeks I finally beat the game so I couldn’t resist snapping a picture of Juliet. 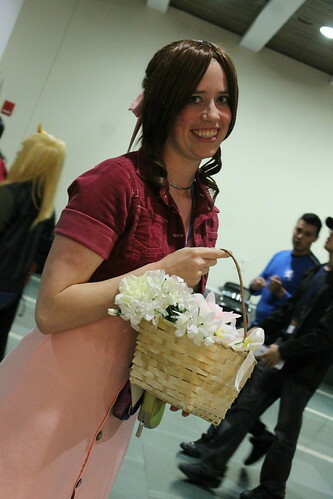 Aeris from Final Fantasy VII, she is one of the best Aeris cosplayers I have ever seen. Cammy from the Street Fighter series, I’m not a super big fan of Street Fighter but when I do play I always, always play as Cammy. 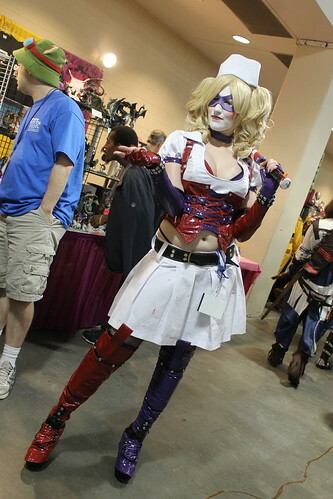 Another Arkham Asylum Harley Quinn. 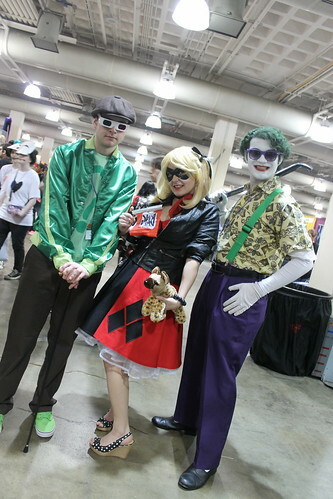 Even Super-villains need to go on vacation sometimes, I spotted the trio of Riddler, Harley Quinn and Joker getting ready to make a tropical getaway. 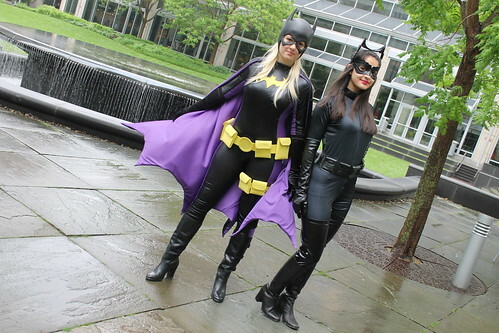 Batgirl (Stephanie Brown version) & Catwoman, I got kind of lucky and spotted this pair while I was attending the BJD meet. 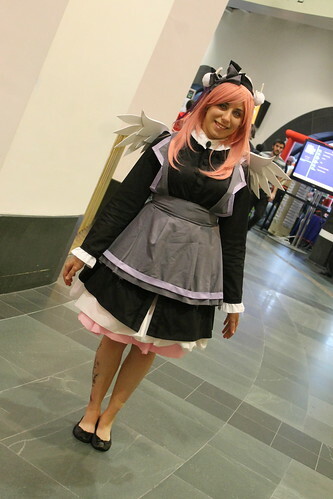 This entry was posted in Anime Swag, event and tagged aeris, akemi homura, anime boston, anime boston 2013, arkham asylum, asuka, batgirl, batman, black canary, borderlands, cammy, carwoman, charlotte, cosplay, Dollfie Dream, evangelion, final fantasy 7, harley quinn, haruhi, homura, joker, kyoko sakura, kyubey, link, lollipop chainsaw, madoka, mami, melancholy of suzumiya haruhi, miki, miku, mikuru, neon genesis evangelion, pita-ten, Puella Magi Madoka Magica, riddler, sailor aluminum siren, sailor mercury, sailor moon, sailor venus, sayaka miki, street fighter, tomoe mami, vocaloid, yuki, zelda. Bookmark the permalink. You did a fantastic job as Juliet! It’s especially funny because I had just beat Lollipop Chainsaw the week before haha! I hope you had a great time too, I’m already looking forward to next year! 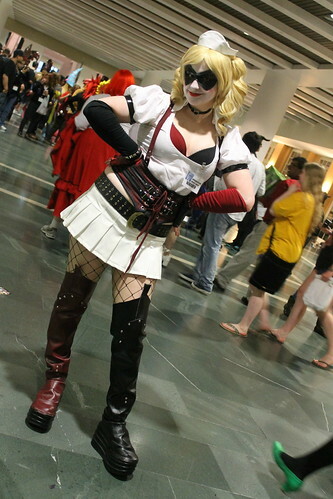 Thanks, you did a fabulous job as Harley Quinn. 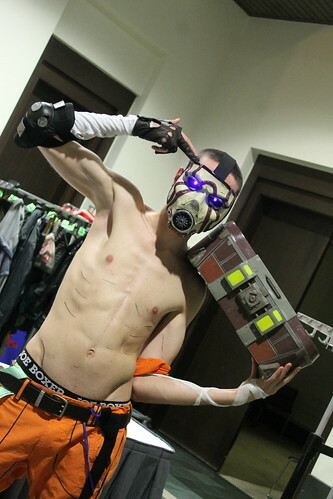 I was really impressed with your costume! 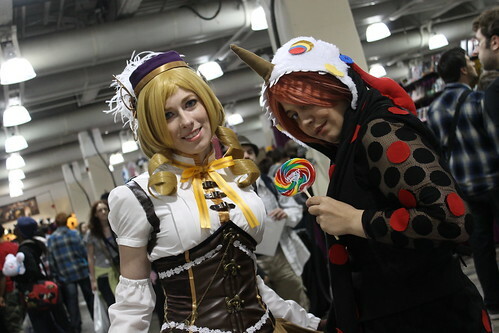 My friend and I were the Mami Tomoe and Charlotte in your first pic. Thank you for sharing your photos! Hope your con was fun. 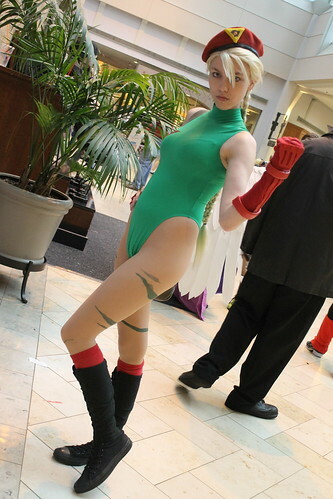 Ah, I absolutely loved you and your friend’s cosplay! You two were just the perfect pair. 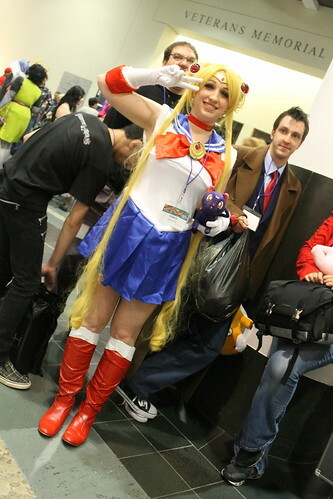 I hope you had a great con experience as well.